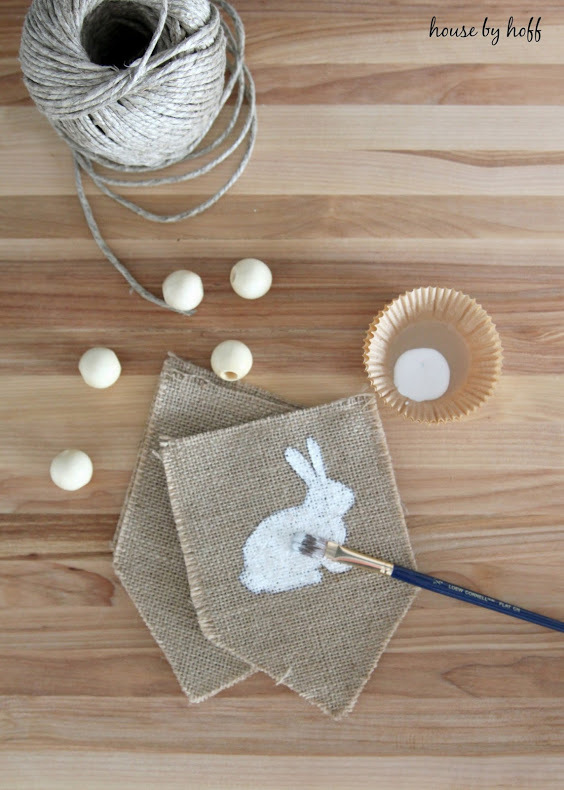 My latest creation are these little burlap Easter Bunny Pennants strung on twine with wood beads. I made very similar pennants for Valentine’s Day day this year. I just swapped out the hearts for bunnies, and tada! We have a whole new holiday covered. 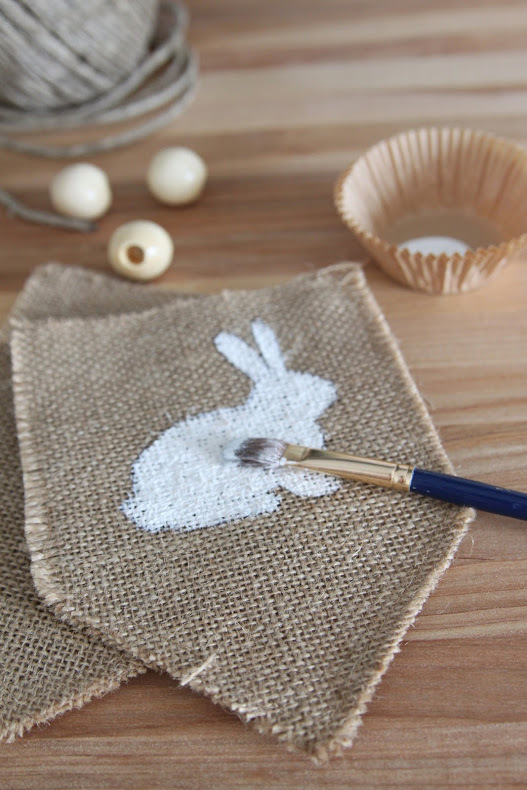 Making these Easter Bunny Pennants was so easy. 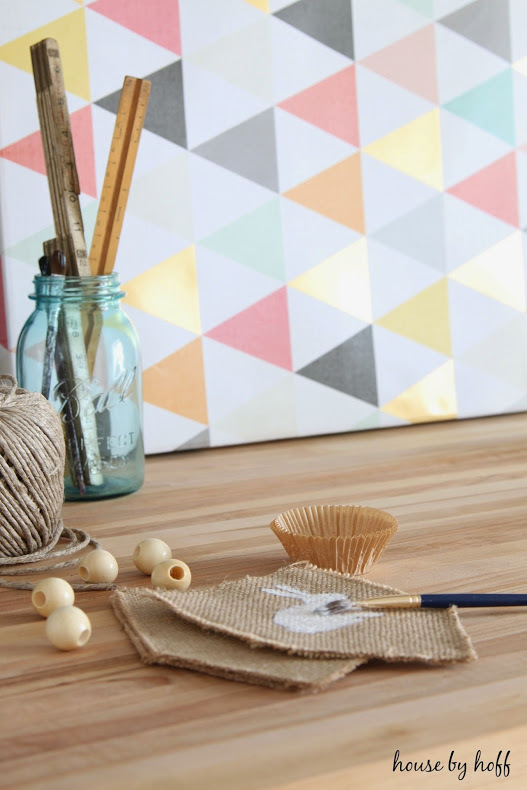 I make a stencil using my Silhouette Cameo, trace it with a pen on the burlap pennant, and use a small paint brush and acrylic paint to paint it in! Done in minutes! 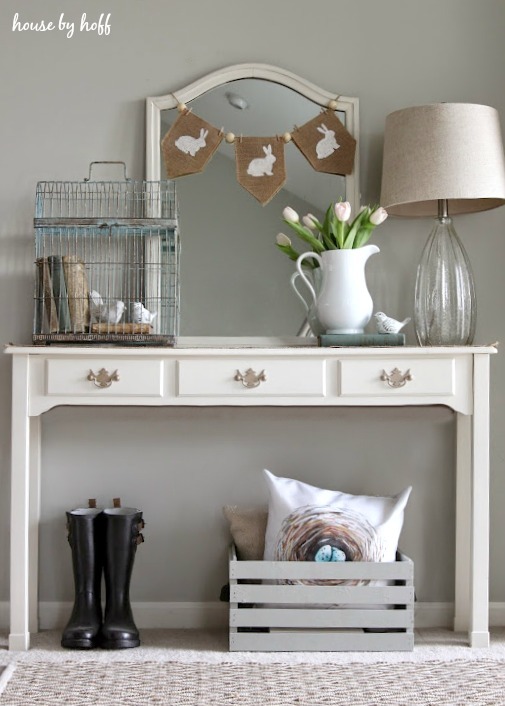 I strung the cute bunnies over a mirror to top off a cute vignette in the living room. 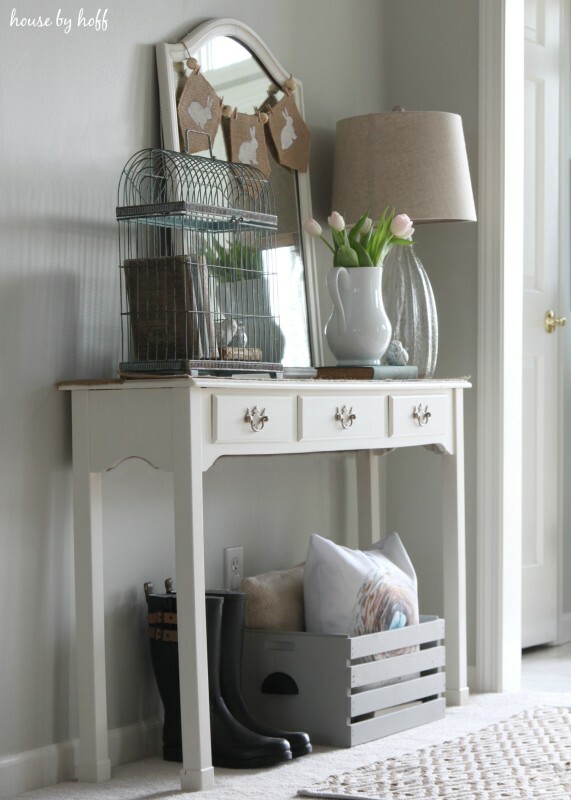 And, before you leave, I’m participating in “25 Fresh and Fabulous Spring Home Tours” sponsored by Kirklands this week! I’ll be sharing my home tour on Wednesday. Check out the amazing blogs that are part of this home tour with me and make sure to enter below for a chance to win one of THREE $100 gift cards from Kirkland’s. I love your adorable bunny banner — it is so sweet! Oh April-That looks so cute!! Love it! !